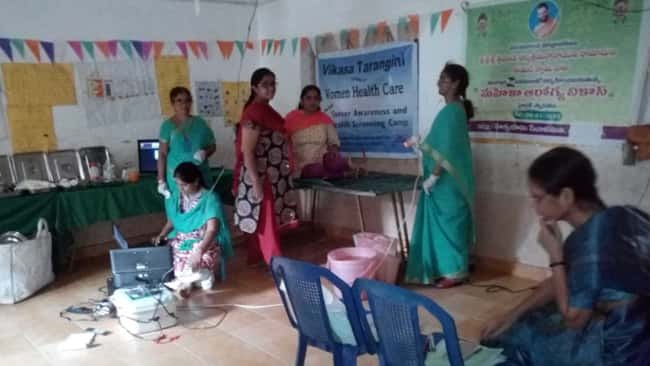 Veterinary camp was conducted today at Mogilipalam(V),Thimmapur(M) LMD in association with Karimnagar Dairy Society. Totally 120 cattles were examined. 78 were cows, 30 buffaloes and 12 calves. Rs. 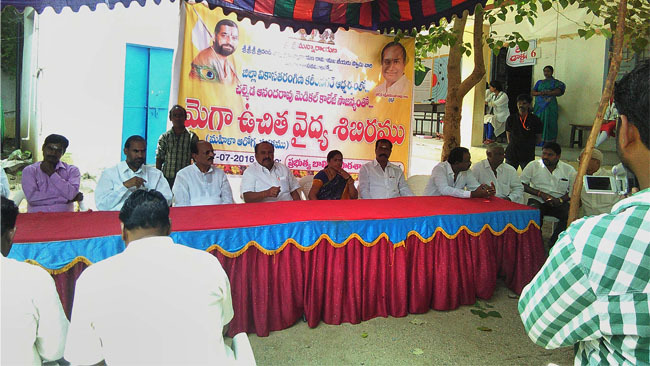 5000 worth medicines were distributed by Karimnagar dairy society & Vikasa Tarangini distributed Rs 2000 worth medicines which is sponsored by Sriman M.Venkat Reddy. Sriman Dr.Chary, Sriman Dr. S.Sanjeeva Rao examined cattle with their staff. Vikasa Tarangini volunteers chanted Sri Vishnusahasra Parayanam and explained about Statue of Equality to all the people who participated in the event.